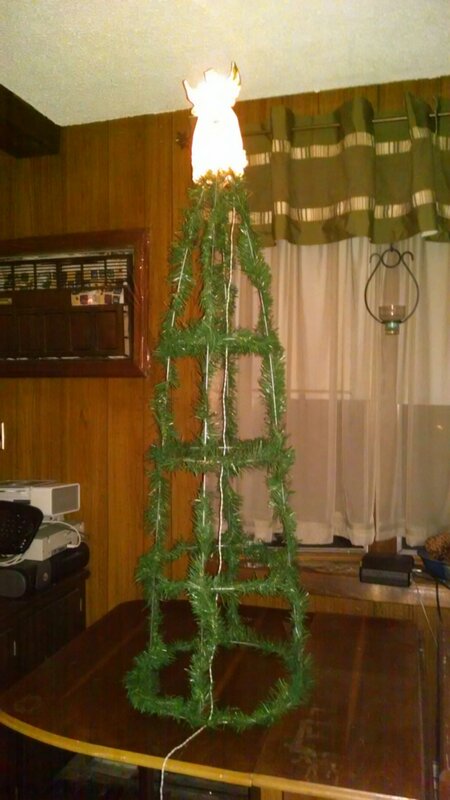 I decided not to buy a tree this year and recycle items around the house to build my own tree. Here are some photos showing this project. I started with a tomato cage. I used clear packing tape to connect the spikes together and stabilize the angel. Then I wrapped dollar store greenery around the cage. I then simply decorated like I would any tree. Lights and ribbon. Then I added my ornaments. 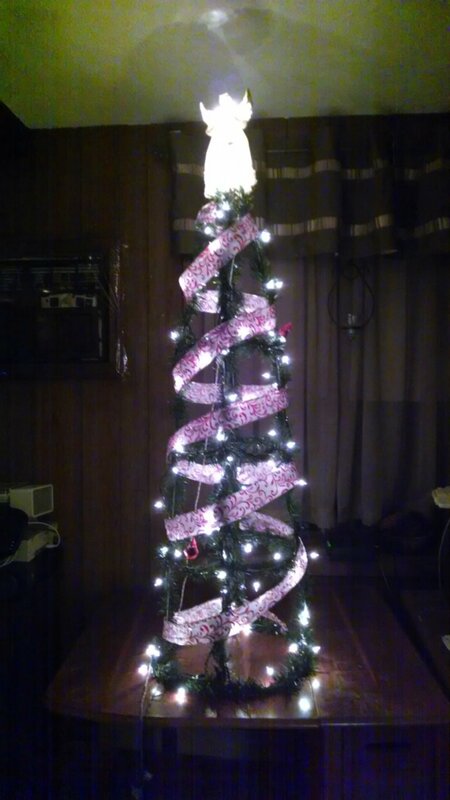 It seemed a little sparse so I added some garland to finish it off. It came out quite lovely in the end!!! !